Oscar®’s movie season is heating up with the release of the second First Man Official Trailer. Oscar®-winning director Damien Chazelle is directing what could be another Best Picture contender with the story of Neil Armstrong, and the space mission which led him to become the first man to walk on the Moon. 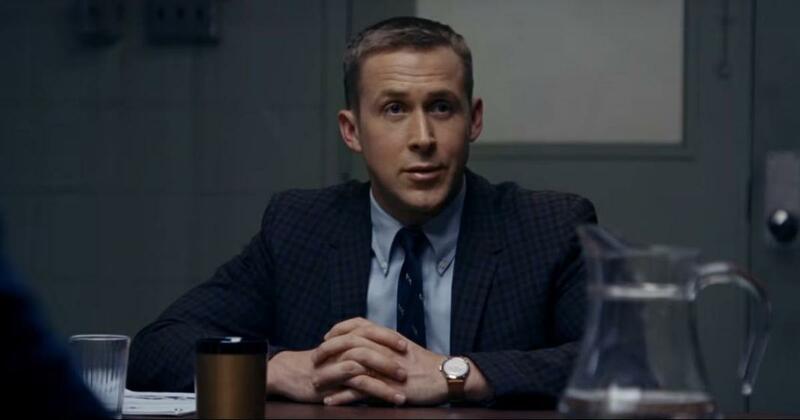 Ryan Gosling leads the star-studded cast as Neil Armstrong while Claire Foy plays his wife, Janet Armstrong. From the looks of the trailer, it’s a no-brainer that this movie will definitely lead to some Oscar®nominations. First Man hits theaters on October 12, 2018, be sure to watch the trailer below! Written by Academy Award® winner Josh Singer (Spotlight, The Post), the epic drama of leading under the pressure of grace and tragedy is produced by Wyck Godfrey & Marty Bowen (The Twilight Saga, The Fault in Our Stars) through their Temple Hill Entertainment banner, alongside Isaac Klausner (Love, Simon) and Chazelle. Steven Spielberg, Adam Merims, and Singer executive produce, while DreamWorks Pictures co-finances the film. What did you think of the second First Man Official Trailer? Be sure to share your thoughts on the trailer in the comment section below! This trailer is interesting. I am looking forward to seeing this movie about the first man on the moon, Neil Armstrong! Maybe it will be a contender, but I will watch to see if it is worthy.